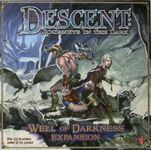 This is a special auction, I know that people are looking to pick up Descent 1st Ed. I normally do a flushing of unloved games around this time of the year, but have not decide which ones I want to part with. - These games are in good shape, minus the core set that has a split corner. All of the cards are in sleeves, the models are in great shape, and everything is bagged. If you have questions about a game you are bidding on please geek mail me. - START AMOUNT: All games have a starting bid of any full dollar amount you wish. - INCREMENT: Bids will be in $1 (whole dollar) increments only. (you might want to open all hidden comments to make sure you see the most current comment/bid). - METHOD: Bids will only be accepted with a post to this geeklist. Your winning bid must be placed at the end of the list of comments. If you revise one of your earlier comments (to change the bid), that will not be accepted. Just click "Comment" on the item you want and enter a new bid. Thanks. - WHO CAN BID: I will ship in the United States only, I strongly suggest bidders approximate postage costs first by going to www.usps.com and using Zip Code 06770 as the source. - RESERVE PRICE: I am not using a soft reserve in this auction, the reserve price is the absolute minimum I would sell these items, if the winning bid does not exceed the reserve then I will not sell. - BIN: If you select this option please honor it, since you are in essence blocking all other bids. - METHOD: Buyers can make payments through PayPal only, I am not flexible on this. - TIME LIMIT: Please complete payment to me within 3 days of the auction ending. If I do not receive payment from you during that time or have not heard from you, you will be notified that you have forfeited your bid and the sale will go to the next highest bidder. Special note, I am trying to do this before the Holidays, so if you are looking to do these for gifts you need to make payment fast so I can ship fast. 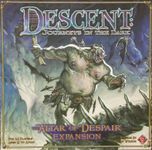 - BGG MARKETPLACE: All sales will be completed through the BGG Maketplace so that BGG will get their cut. - WHERE: I will only ship with in the US. Sorry international bidders. - METHOD: I will ship USPS Flat Rate Boxes when ever possible. For combined bids or odd shaped boxes I while use the cheapest shipping method USPS, FedEX, or UPS. - COSTS: Shipping costs will be paid for by the buyer. I don't overcharge for shipping. If the shipping costs come in under what I charge you, I will refund the difference. Please understand that I am just a person selling games and don't get any shipping discounts like businesses do in certain cases. - COMBINING: Combined Shipping is available should you win multiple games. - SOURCE: Items will be shipped from zip code 06770 if you want to see what shipping costs may be. - LOST/STOLEN: I am not responsible for lost or stolen packages. I do my best to make sure you get your package, ALL items will be insured. - TIME: Your items, in most cases, will be shipped the next business day after payment is received. - PICKUP: Local pick-up is free (Naugatuck, CT). Since I have had issues with this, local pickup means you come to me, and meet me in Naugatuck. I will no travel out of my way for "Local Pick Up". If you elect this option and do not pick your items up after 90 days, I will consider it abandoned. - BGG DOWNTIME: If, in the final 24 hours of this auction we see substantial down-time or slow-down, I'll extend the auction a bit. I will post here in this paragraph if we extend the end time. - CHANGING BIDS: Important: A bid is a bid. Going back and changing a bid (to $0, for instance) or deleting your comment doesn't change the fact that you have bid. If you think you might obtain the game elsewhere or otherwise have any reason to think you might have to take back a bid, just DON'T bid until you are certain you can honor it. Thanks! - ANTI-SNIPING RULE: If there is a bid within 30 minutes prior to my closing time, I'll extend things another 15 minutes. If another bid comes in, I'll go another 10. This will continue until all bids are complete. Good luck to everyone and thanks for taking a look. If you have any questions, feel free to geekmail me. -exterior is damaged with a split corner, other then that the box is in good shape. - all the components are inventoried and accounted for. Heroes are bagged. Monsters are loose in the box. Cards are sleeved and banded. Other smaller components are stored in a tackle tray. - all the components are inventoried and accounted for. Models are loose in the box. Cards are sleeved and banded. Other components are bagged. - all the components are inventoried and accounted for. Models are loose in the box. Cards are sleeved and banded. Other smaller components are bagged. Board tiles are loose in the box. Monster models still in original bag.